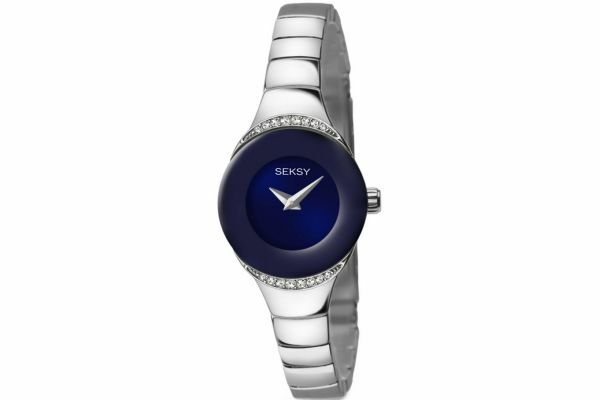 Women's Seksy stainless steel crystal set dress watch with a round polished case. Has a stunning deep minimalistic blue dial with plain shiny silver hands. Features an all polished thin stainless steel bracelet with a push button fold over clasp. Powered by a quartz movement and comes with the Seksy 2 year guarantee.